Nottingham Trent University has scooped a third building accolade in as many weeks for its ambitious Heart of the Campus development. Last night (April 27) the university won a Royal Institute of British Architects (RIBA) East Midlands Award for the project in recognition of its architectural excellence, as well as a special award for Client of the Year. In addition to this, former Nottingham Trent University student, Sam Letchford, won the RIBA East Midlands student award. The multimillion pound project at the university's Clifton campus has involved the creation of an inspiring state-of-the-art teaching and learning environment. Constructed by GF Tomlinson, it includes two new buildings – the Pavilion and the Teaching and Learning building – with beautifully-landscaped outdoor spaces. The RIBA awards follow last week's win of a Royal Institution of Chartered Surveyors (RICS) East Midlands Regeneration Award. The previous week, the development won a bronze award for G F Tomlinson, the main contractor, and Nottingham Trent University Joint Venture at the Considerate Constructors Scheme Awards for showing the highest levels of consideration towards the public, its workforce and the environment through adhering to the Scheme's five-point Code of Considerate Practice. It is the second consecutive year the university has won the award. 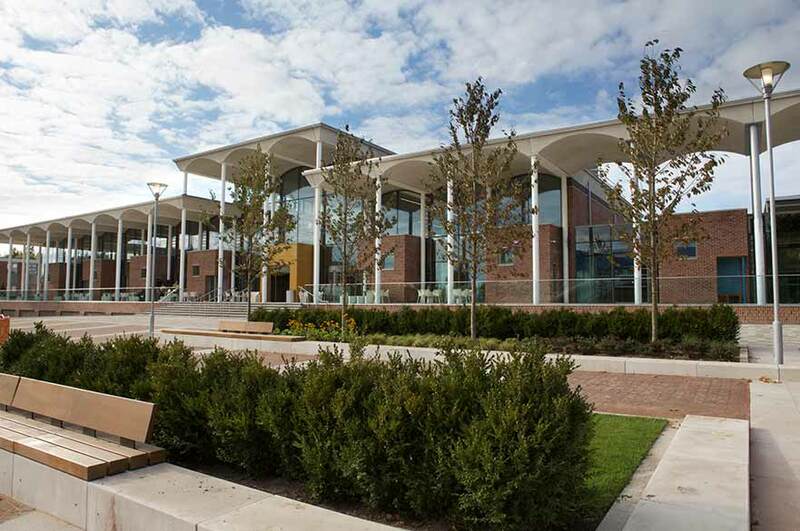 RIBA East Midlands Regional Director, Mike Baulcombe, said: "Heart of the Campus is well deserving of an RIBA regional award for the quality of its architecture and the catalyst that it has provided for the redevelopment of the Clifton campus. The judges were also impressed by the engagement and involvement of students in the design and construction process, which resulted in the Client of the Year prize being awarded to the university." Nottingham Trent University's Director of Estates and Resources, Ged O'Donoghue, said: "Winning the RIBA award is a fantastic achievement. I believe we are the only university to have won the contractor's, surveyor's and architect's award for a project. The objective we set the team was to provide a high-quality environment to inspire generations of students to want to learn in the buildings, and we thank them for realising that vision so emphatically." Robert Evans, from Evans Vettori Architects Ltd, the architects for the development, added: "These prestigious RIBA Awards recognise the dedication of a huge team of people, working towards a shared vision of enhancing the student experience. "We are especially delighted that Nottingham Trent University won Client of the Year for their enlightened patronage of architecture." Nottingham Trent University's Heart of the Campus will now be considered for a highly-coveted RIBA National Award, which will be announced in June. The development's Teaching and Learning building accommodates up to 800 students in three lecture theatres, with flat and tiered spaces to suit teaching requirements, along with eight teaching rooms and two seminar rooms. The Pavilion offers two levels of social study space, which include enclosed learning 'pods' and collaborative booths for group study. In addition, a barista and seating area provide communal areas in which students and staff to relax and socialise. A link bridge adjoins the two buildings whilst 'The Plaza', a landscaped central outdoor area which features excellent Wi-Fi access, attractive planting and seating areas, is located in front of the buildings. Nottingham Trent University's five-year strategic plan "Creating the University of the Future" has five main ambitions: Creating Opportunity, Valuing Ideas, Enriching Society, Connecting Globally and Empowering People.